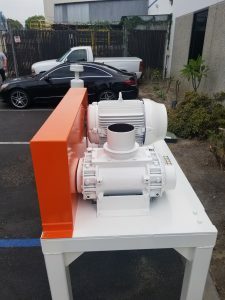 Do You Need a Pressure Blower? At Adaptive Engineering, our staff will work with you to select a pressure blower package that will meet your project specifications. Pressure blowers in the 20-75 HP family typically support systems with 3 ½” to 6 ½” OD line sizes, and flows ranging from 450 to 1500 CFM. 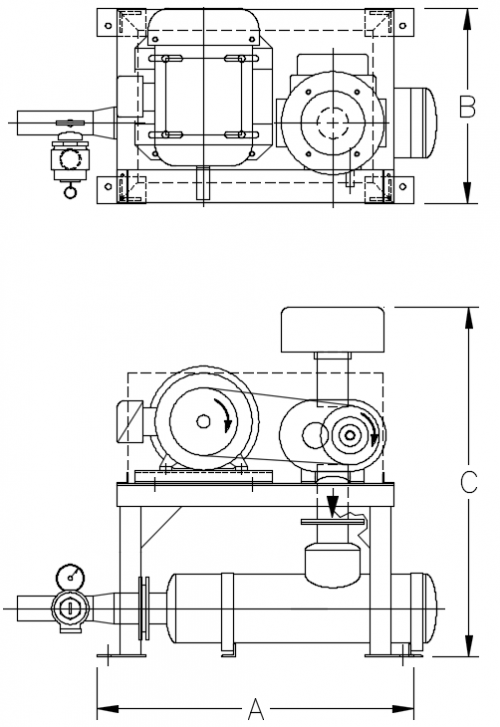 These vacuum loader packages are constructed of heavy-duty angle or square tube frame, with a solid top. Packages are shipped in a nearly completed state minimizing the time required for installation. 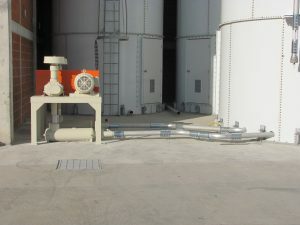 Standard pressure blower packages are built on carbon steel welded frames and include – blower, motor, adjustable motor slide base, v-belt drive, pressure relief valve, liquid filled pressure gauge, check valve, intake filter, outlet silencer, an OSHA safety orange-colored belt guard, and an AEF white exterior.